The move to evict the Ranyane Bushmen comes despite an injunction issued by Botswana’s High Court last week preventing the forced removal of some of the Bushmen until the case returns to court on June 18, and despite promises from President Khama’s spokesman Jeff Ramsay last week that ‘The government has no plans to remove those who wish to stay at Ranyane’. The community has been threatened repeatedly with eviction by local authorities to make way for a ‘wildlife corridor’, a project which was pushed by American organization Conservation International for many years. The Bushmen were told they were blocking the free movement of animals, and if they refused to leave, government trucks would arrive to remove them and destroy their houses. But the Bushmen pose no threat to wildlife, alongside which they have lived sustainably for centuries, and many believe the eviction is in fact to benefit local cattle ranchers. Bushmen from Ranyane told Survival that they do not want to leave the land which they have inhabited for generations. Forcing tribal peoples off their ancestral lands has devastating consequences for their health, livelihoods and self-sufficiency. Many Bushmen evicted from their land now inhabit so-called ‘resettlement camps’, where they depend on government handouts and frequently suffer from alcoholism, depression and other illnesses. 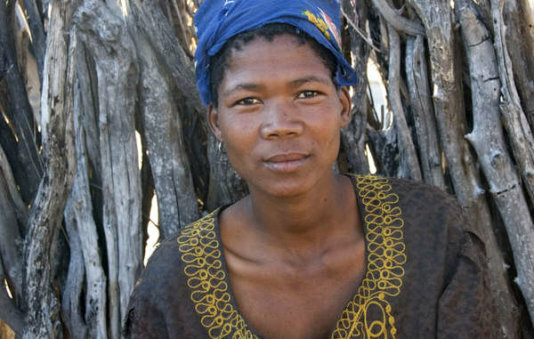 Survival calls on the Botswana government to immediately stop the illegal eviction of the Ranyane Bushmen, which violates international law.